Circa 1800. 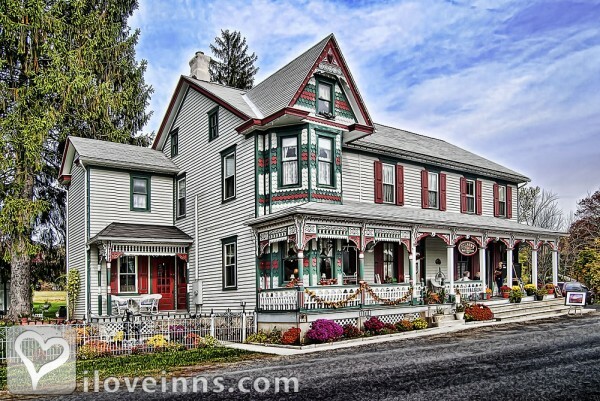 Feel refreshed in the quiet country setting of this restored 1800 Queen Anne Victorian on six acres in Danielsville, Pennsylvania. 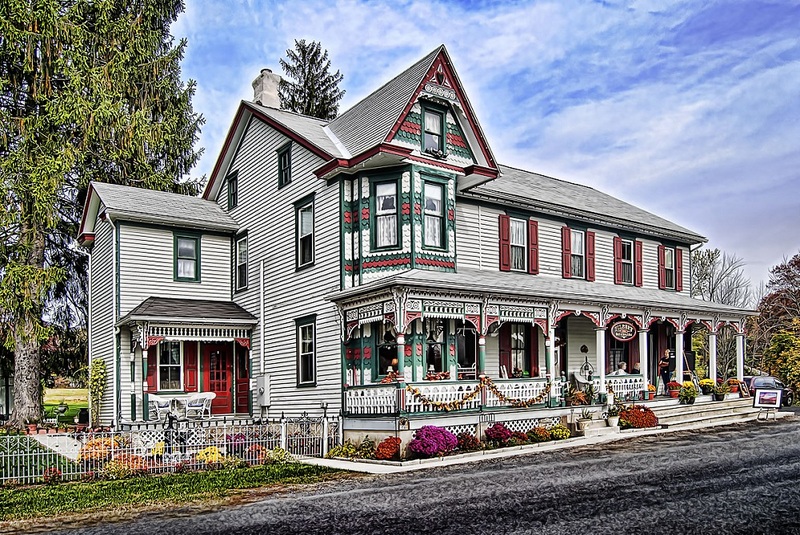 Adorning the foothills of Blue Mountains between Lehigh Valley and the Pocono Mountains, The Filbert Bed & Breakfast is a warm and welcoming B&B open all year. Relax on the 60-foot porch, play games or watch movies in the large sitting room or gather for conversation in the greeting parlor. Air-conditioned guest suites boast hardwood floors and antiques. Savor a bountiful breakfast in the dining room before embarking on the day's adventures. Massage and skin care appointments are available from a certified therapist and licensed cosmetologist. Payment Types Accepted Include Discover, Master Card, Personal Checks, Visa, Travelers Checks and Cash. This property has 5 total guest accommodations, 2 with fireplaces, 5 total suites, including 1 two-bedroom suite and 1 conference room. The types of beds available include Queen. Private,quiet, and quaint courtyard perfect for enjoying your favorite beverage. Large open yard for weddings,family gatherings, and picnics. The dates this property will honor the certificate are March-November, subject to availability, Anytime, Last Minute-Based on Availability. Valid from 04/01/2018 through 10/31/2022. Valid from 04/01/2018 through 11/30/2020. Kathy went above and beyond to make our experience special. The house is beautiful and the food was delicious. You are truly made to feel like you're "home" at this B&B. Can't wait to go back! In 2016 I proposed to my fiance at the Filbert and Kathy went well beyond what was asked of her to make a truly memorable weekend. A wonderful breakfast, massage, fun conversations, discounted Blue Mountain tickets, flowers in the room, I could go on and on. After reviewing locations for our wedding, we decided to ask Kathy what she could do for us for our special day. The services quoted and the price were both extremely reasonable. Again, she knocked it out of the park - bonfire, tent, wonderful atmosphere, beautiful decorations, delicious food, and world class service - I'm not sure how she did it, but even got the weather and neighboring fireworks to cooperate :). Kathy, Sherri, and the rest of her staff made our day so memorable - and this is from a man's perspective! My wife was equally impressed and spoiled throughout her day - we both felt very little stress as we both knew we were in good hands. I can honestly say that whatever you are looking for, Kathy will do her best to make it happen for you and I guarantee she will exceed your expectations! She is a friend for life and I am so happy we chose the Filbert for our wedding because we can visit over and over again when we want to relive any of our special memories. Thanks again for the beautiful day! - Paul & Tara 9/29/2017. Filbert Bed & Breakfast was a great place to stay while we celebrated our 30th wedding anniversary. It is only 4 miles to Blue Moutain and a 30 minute drive to Jim Thorpe, PA. This was perfect as we spent our time going back and forth between the two locations. Kathy, our host, was warm, gracious and friendly from the moment we arrived until the time we left. She even sent us a list of things to do in the area, prior to our arrival, to help us better plan our visit to the Lehigh Valley. Filbert B&B is meticulously maintained inside and out. The grounds are lovely with many private seating nooks to relax and enjoy the beautiful setting. The suite we stayed in was spotless and the breakfast Kathy prepared for us was delicious! The decor is Victorian, true to the period, and will transport you back to another era. The Filbert B&B is truly a gem tucked away in the Lehigh Valley. Enjoyed my stay here, while doing some hiking on the Appalachian Trail. Kathy was wonderful and easy to work with. Room was comfortable, breakfast was perfect and very quiet. I'm a light sleeper and there was no road noise to bother me. Look forward to staying here again. I booked the entire B&B for the weekend for my wedding and my family stayed there - 7 adults & 7 kids! Miss Kathy is so brave! She was amazing and the B&B was breathtaking! There was plenty of food that the "littles" could enjoy! The service was impeccable and the little heartfelt touches were so amazing! Miss Kathy even added a surprise tea party for the little girls - including finger foods, tea, and beautiful hats & pearls! Adorable! It was definitely an experience we will never forget, even without the wedding! Thanks Miss Kathy! We love you! We enjoyed our visit, while brief for only one night while visiting local family. Kathy prepared us a lovely breakfast and was very hospitable. We will be back next time when in the area. Could not be better! Charming Victorian, painstakingly restored. Period charm with modern conveniences - hot showers, warm rooms and Hi speed Wifi. Breakfast was farm fresh, elegant and hearty. Hot and fresh crock of soup/chili waiting for guests in the evening. Kids loved it too (8-12 years old). The Filbert is the place to stay! The Filbert is a fantastic place to stay. It is very close to the slopes (5 mins). Kathy is adorable and her breakfasts are amazing. After a day of skiing our kids were tired so it was wonderful to order take out and eat it in the dining room. The house is beautiful, the rooms are spacious, very clean and comfortable. The old store is like going back in time. We will be back! 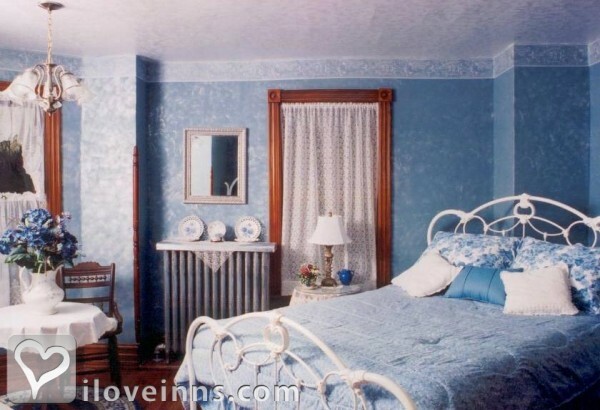 Historic Inn is charmingly restored with immaculately furnished rooms. Kathy, the innkeeper, is a gracious and thoughtful host, and works hard to meet all special requests. Breakfast is a 5 Star multi course meal, made with farm fresh ingredients, and served in white glove fashion. Blue mountain ski area is 5 minutes away! tallest ski area in the poconos - an undiscovered gem. Warm, welcoming, uniquely decorated from times past, and excellent food make this our choice for snowboarding weekends at Blue Mountain. Kathy makes the Filbert Inn one of the greatest B&Bs we've stayed at (and we've stayed in our fair share). If only the skiiers/boarders on the mountain were as considerate! This was pretty much our first stay at a B & B. It was pretty perfect and we will visit again. It will be difficult for other B & Bs to come close. Kathy, the Innkeeper, bends over backwards for her guests. Her motto is to enter as strangers but leave as friends. That is exactly how it was!! Enjoyed our brief mid-week stay. Kathy tolerated our late arrival. The Filbert bed and breakfast is excellent. There are so many positives in this place: the location is superb, only 2 miles from Blue Mountain. It is a very cozy place. Breakfast is excellent too, with farm raised eggs, bacon and potatoes. Everything organic, raised in their own farms. The pest part about this B&B is Cathy the owner. She is the best host. She takes such good care of you. I highly recommend this place. I came with my cousin for a ski trip. I am definitely coming back with my fiancee. Walked into a very antique place real late during the week. After a short tour our hostess gave us the number to a great pizza shop, that was still open just down the road. Picked up food and finished a movie with some guests already there. A solid rest in our spacious room was greeted in the morning by an awesome omelet. Off season ideal, many antiques. Owners are very helpful with area info. The restoration is period accurate with hidden modern accommodations (wifi). You could eat off the floor (I'm serious, pick any corner). The beds are period accurate... which was no problem for my wife and I. Even though it's out a ways, you can quickly get to town. We will encourage our off-ski season guests to stay here if and when we relocate from UT. My husband and I stay at Bed and Breakfast's quite often. This was our first time at the Filber B&B and found it to be outstanding. The room was very clean and the bed comfortable. I was very impressed with our healthy organic breakfast. Almost everything Kathy served us was from a local family owned farm. No pesticides, hormones, antibiotics (for those of you who eat organic). We would DEFINITLY stay here again. If you are planning to visit the area make it a point to stay here. You will not be sorry. Awesome accomidations, above and beyond my expectations. you've managed to set the bar for all B&B's. My husband and I planned on going to a good friend's son's wedding in Northampton, but couldn't acquire a room anywhere due to the Musikfest crowds. Finally, I tried B&B's and was referred to Filbert. What Serendipity! Husband and I arrived, were greeted graciously by host Kathy and loved the historic details and beauty of the home. We took time to walk some of the lovely grounds and sit with a lemonade on the glider to hear the bird's chirp and take in the lovely views. Thanks to Kathy and Terry's kindness, they came at 11 pm, after their own wedding, to let us in our room (key safely inside!) Thanks to Kathy and Bill for having us as guests. Loved the family-smoked bacon! Sue & Burt H.
My family gathered for an 80th birthday party and felt at home from the time we entered The Filbert. Kathy served awesome breakfasts, the kids enjoyed all of the space, and it was the perfect place for all of us together in the evening. The backyard has lots of tables and space where the children could play at night. We saw deer, groundhogs, and fireflies. Kathy even held the baby one morning so her Mom could eat with all of us! We were going to the Kutztown Festival and wanted a B&B nearby. The Filbert was a perfect choice. The accommodations were beautiful and the hospitality of Kathy was great. Breakfast alone would make this place special, and the omelets...Umm....! There aren't any closets, but hooks are available to hang things. Kathy rescued me from the Appalachian Trail when I developed a problem with my leg. She carted me to the B&B, washed my clothes, prepared an outstanding breakfast, and provided a great venue for my stay. Top notch. Kathy rescued me from the Appalachian Trail when I had a bad ankle. She carted me to the B&B, washed my clothes, prepared a wonderful breakfast, and provided a very relaxing venue for my stay. Top notch. Filbert B&B is ideally locatted in Little Gap, PA between Lehigh Gap and Wind Gap. Some AT hikers may find the cost outside their budget, but the place is great. Features: shuttle to and from the trail, laundry, free pops, ice cream, popcorn. Peoprietress, Kathy, is an excellent host and takes great pride in the B&B's comfort and friendliness. The Filbert was my favorite stop on the MD/PA section hike. I highly recommend it. And the breakfast was so delicious and filling, I didn't eat lunch until mid-afternoon! Wow - what a special place. The history of the house and the old general store (where we were able to leave our backpacks and spread out our gear) and the rooms were so elegant. Kathy was such a charmer. She greeted us with homemade lemonade and made us feel at home and part of the family. She made sure we had all of our needs taken care of. She is super and breakfast was awesome even down to the heart shaped butter on the toast. My wife and I completely enjoyed our stay and the home cooked farm fresh breakfast we received each morning. Kathy made us feel at home right from the start. We never found ourselves more than 20 minutes from anything we wanted to do. Kathy certainly upheld her motto of "enter as strangers, leave as friends..."
I wanted to thank you again for the lovely time Glenn and I had at the Filbert this past weekend. The room and decor were beyone our expectations. all the little conveniences you had placed in the bathroom were so appreciated. I had no idea what to expect in that regard and was overwhelmed by the feeling I got of actually staying in a friend's home for the night. The breakfast you made us was absolutely delicious and presented in such a thoughytful way. The food and presentation was matched only by your friendliness and warmth. the best part, however, was the visit we had with you afterward as you showed us your beautiful property and shared your stories of how it all had come to be what it is today. Kathy, you are an amazing person with so much creativity and drive. That is apparent in everything you have done with the Filbert. I'm sure the prior owner, who you were so fond of, is pleased with everything you have done as he looks down from his peaceful vantage point in heaven.I hope that Glenn and I have an opportunity to return. Best ofluck to you and Terry.Thanks you again for your hospitality. InnSide Tip - Lots to do there. Lots of fun and interesting activities do do close by. Inexpensive. 4 of us from college & 2 other women stayed at the Filbert house for the last weekend in Feb. WHAT A GEM!!!! Aside from the Victorian charm of the building with great rooms & private baths, Kathy the owner was incredible! From ensuring we knew how to find anything we needed, from dinner reservations, lift tickets or mass schedule, her great sense of humor and personality made the trip worthwhile. Coming back from skiing to wine & cheese, delicious filling breakfasts to start the day & antique hats for us to wear for the day made us feel like we owned the place! Can't wait to go back! This B&B had the perfect location for any time of the year. My boyfriend, brother and his girlfriend just stayed here last weekend and it was what I consider a true getaway. We all felt we had our privacy and we went to Blue Mountain for skiing and tubing which was just a few miles away. We are already looking forward to going back in the summer. In the morning we feasted on delicious breakfast made by the inn kepper. The room accomodations were very comfortable and were in good condition. The inn keeper was extremely cordial, polite and attentive. I couldn't ask for anything more. The B&B also had a butler's pantry available to us with homemade baked brownies and cupcakes. Delicious breakfast, great customer service, nice setting, great location. We highly recommend the Filbert Inn. This B&B has the ideal location for any time of the year. My husband and I happened to go in the winter and we were just a few minutes away from Blue Mountain for skiing. We are already looking forward to going back for nearby rafting and hiking. The accomodations were very comfortable and the inn keepers could not have been nicer. We were greeted each morning with a great breakfast that kept us full all day. The B&B also had a lot of personal touches like homemade baked goods available to us all day in the kitchen, as well as ice cream and all the toppings for sundaes. We highly recommend the Filbert. 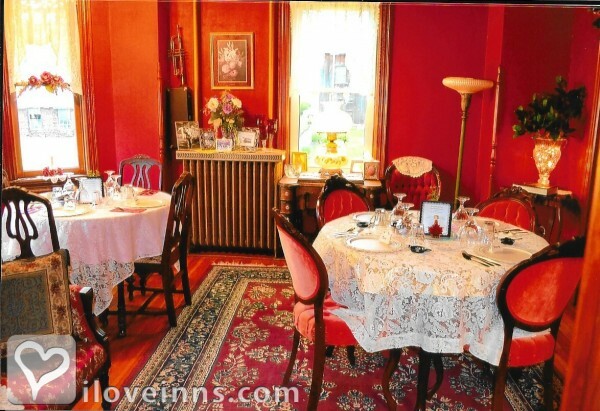 The Filbert Inn decorated in Victorian style makes you feel as if your stepping back in time. The setting is beautiful. The backyard is large and houses a summer kitchen and barn. The landscaping is well manicured. It was nice to sit on the back patio with a glass of wine and see a couple of baby deer scamper across the lawn. Inside the house all the details completely capture the era beautifully. The front porch has rocking chairs and wicker furniture to sit out and enjoy the view with your morning coffee. There is also a well stocked Butler's Pantry for late night snacks or early risers. The owners are fantastic hosts. Kathy and Terry took the time to explain the history behind the inn. They are so friendly and made us feel very welcome. The room we stayed in was very comfortable. All amenities were supplied. Each room has a private bathroom with a shower. There are 2 dining rooms for breakfast. Kathy serves a country breakfast that is very hearty. She is also accommodating to dietary needs. This was our second time staying here and I know it won't be our last. We had a lovely night after a nearby wedding reception. We had a chance to celebrate our anniversary too! A wonderful breakfast was waiting for us in the morning. We had a lovely experience at the Filbert Bed & Breakfast. The beautiful Victorian was a pleasure to stay in. It is furnished in the Victorian style with antiques and decorations. The hostess was a delight, and her breakfast was really great! Kathy goes above and beyond to make her guest stay great! My good friend and I stayed at the lovely Filbert B&B for a weekend of catching up. I got lost trying to find the place on a cold rainy night and Kathy came to where I had pulled over found me and escorted me to the B&B. She provided maps and information about the local attractions and restaurants. 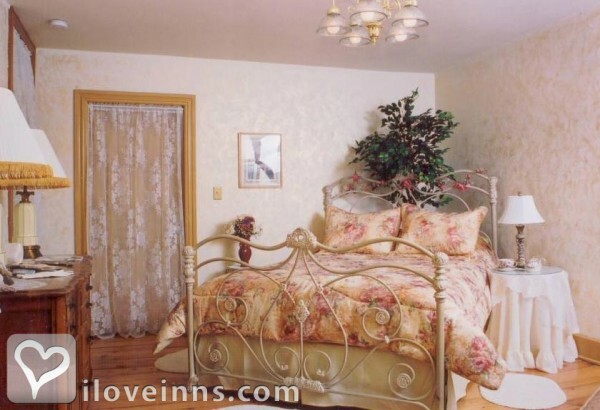 The rooms were great, tastefully decorated with very comfortable beds. The breakfasts were great with very generous portions. There are many thoughtful things do make the guest feel pampered and special. I would highly recommend staying at the Filbert B&B and look forward to visiting again. I recently stayed at the Filbert on my wedding night, and Kathy had a nice surpise of a balloon, sparkling wine, etc. on a tray in the bed...was a very very nice touch! She is very pleasant, and the B&B is very clean and well taken care of. Would recommend it to all. Don't miss going there, you won't be disappointed. The breakfast is wonderful. Kathy is so helpful with anything you may need. Its like going home again. I can't wait to come back and see you guys again. Don't forget 2011. My wife and I really enjoyed our stay at the Filbert Inn earlier this week. Everything was great The Inn is comfortable, impeccably clean, quiet and charming. The owner (Kathy) your cooking was excellant (our AT thru hiker friend (An Additinal guest was not the only one who ate everything served to him). And thanks again for helping us shuffle the cars around/get to the AT and for accomodating us with our special needs. We hope to do again. The Filbert B&B - We had a wonderful stay. Kathy and Sharon were more than helpful and the breakfast was over the top. We definitely plan on coming back this year to enjoy another relaxing and romantic time. Thank you Kathy! 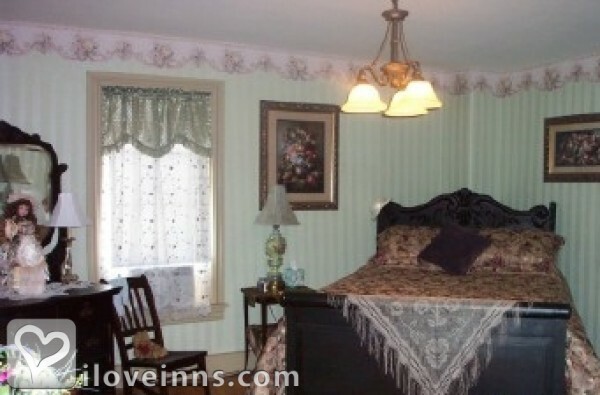 This B&B located in Danielsville, PA has a warm and welcoming owner. Kathy made us feel like a family visit. She is very knowledgeable of the area and willing to help us in any way possible. We had 2 wonderful breakfasts at the B&B. We were able to choose what we wanted, something that my husband and I appreciated. Great accommodations, excellent breakfast, convenient to ski resort...exactly what we wanted. We arrived at 10:30 pm, and left the next morning by 8 am to go skiing. Our only regret was that we didn't have more time to hang out at the Filbert B & B. Even during this short stay, the charm and comfort of the inn was evident. Kathy was a wonderful host, having breakfast ready for us when we got up, and providing a nutritious start for our day of skiing. We had a super wonderful time at Kathy & Terry Silfies' Bed&Breakfast historic home. Kathy is a thoughtful host, who had the hot chocolate and cookies waiting for us when we came home from a cold day skiing. Thanks again!! This is our second time staying at "Kathy's"! Real name is The Filbert Bed and Breakfast. We just couldn't wait to get back. Kathy (innkeeper and hostess) is courteous and thoughtful. You can see that she enjoys what she does. Her breakfast is unbelievably hearty - you can just skip lunch after starting off a morning like this. The rooms are very tastefully decorated, and exceptionally clean. There are different suites to pick from, each decorated in their own unique way. 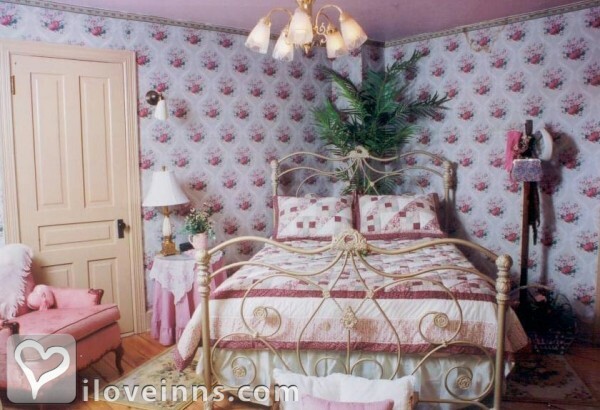 Most important to us � was that every suite had their own bathroom � a big plus! Everything just runs smoothly - you don't know when it happens; the way she brings out courses at breakfast, to the way the rooms are tidied up. Don't forget to request a massage - all you have to do is let Kathy know - she does the rest. We are definitely coming back again real soon! There is a lot to see and do in the area, make sure you plan ahead so you can make the most of yoru time. This is a very nicely and interestingly furnished B&B with private baths. The house is spacious and quiet. Kathy was a great hostess and served a very hearty breakfast. We really enjoyed our stay. This was our 2nd time back and not our last. If you like a place to stay that has history this place has it. So comfortable, quiet and interesting. The hostess and owner Kathy is like a friend who has invited you into her home. She goes out of her way to do everything possible to make your stay fun and relaxing. The property is so nicely kept and large it isn't hard to find a quiet and private place to relax inside or out. We made friends just sitting around the living room with other guests and Kathy. What more can I say? I can't wait to go back. Comfortable bed, newly done shower and bath, delightful breakfast AND awesome hospitality! The property is spacious with all sorts of and reflects its former life as a working farm. Kathy picked me up at the Appalachian Trail and made sure I stopped off at a splendid ice cream parlour on our way to the B & B. This is the second year we have taken our grandchildren skiing at Blue and stayed at the Filbert. It is such a warm inviting place and Kathy makes everyone feel like one of the family. She was especially helpful in helping us with the special dietary concerns of our grandchildren. We look forward to our next stay at this wonderful B&B. Lovely restored farmhouse, wonderful and lavish breakfasts. Came to the Filbert in thee summer to dive nearby Dutch springs. Kathy made it an awesome stay, providing for every comfort. Meals were delicious, rooms clean comfortable and roomy. Have been here to ski, can't wait to come back for the glorious fall foliage. Looking for a quiet, comfortable, and extremely clean B and B?...This is the one! This was just what I hoped it would be. You will not be disappointed if Kathy or Terry can help it. We wanted a unique experience to add to our Ski weekend at Blue Mt. - Kathy makes it memorable and has loads of local knowledge and hints about saving $$, where the locals eat etc. Her Inn is beutifully restored, comfortable and the breakfasts superb! Our family did not want to leave. Ski Retreat & More ! Our family has typically stayed in hotels when embarking on ski outings. This time we were in for a treat by staying at the Filbert B&B. We all loved it - ages 10 to 74. (70+ gets a free season pass at Blue Mtn.) The rooms, the breakfasts, the chicken noodle soup the 1st evening, and especially the hostess were all great!! The kids loved all the different stairwells up to the guest rooms. Farm fresh eggs and bacon and other ingredients in the breakfasts - good stuff! Ski rentals at Half Pipe (at the traffic light) gave great service on a 2 day rental at an affordable price. We booked this room "spur of the moment" with no prior knowledge, just an Internet search. It was beautiful and clean and Cathy and her husband made us feel extremely comfortable and at home. I would definitely recommend it! The Filbert Bed and Breakfast is a very nice place to stay. Every effort will be made to make your stay as enjoyable and comfortable as possible. The rooms are very clean and well taken care of. Homemade country breakfast is fantastic. Choice of pancakes, eggs, sausage, bacon- delicious. They even have a butler's pantry with snacks available. Feb 2012: We stayed one night at the Filbert and were very happy. The innkeeper Kathy was very friendly and made sure that my family had everything we needed. If you like a charming place to stay that is extremely close to Blue Mtn, then this is a nice choice. It may be a little more expensive than a hotel, but you do get a great home cooked breakfast in the morning, great hospitality and they have slightly discounted lift tickets to the mountain. Everything about the Filbert is warm and inviting. We enjoyed our relaxing 3 night stay while skiing at very nearby Blue Mountain. Kathy was always very helpful and accommodating and her cooking is excellent and service impeccable. We look forward to staying at the beautiful Filbert B&B again soon. There isn't a rating high enough to tell you how wonderful my stay was at the Filbert. Kathy and Sherri were both amazing Innkeepers who went above and beyond to ensure I was well taken care of. I spent 2 weeks there so I could be with my mother as she passed away. Kathy and Sherri provided support and caring that I never expected, helping me get through the most difficult time in my life. Words cannot express how grateful and thankful I am to both of them. The Victorian house is absolutely breathtaking and there is such attention to detail throughout the entire house. If I am ever in that area, there is no place else I would even consider staying. Please visit the Filbert. As they say, you will enter as strangers but leave as friends, and your life will be so much richer for doing so. My husband and I had the pleasure of staying at the Filbert Bed and Breakfast earlier this month and had a wonderful time. Kathy was amazing and made us feel very welcomed and right at home. Her hospitality was impeccable and her homemade country breakfasts were delicious! We would definitely recommend this bed and breakfast! Last January I was enjoying the Blue Mountain recreation park with my family during the day I had a situation where my car keys got lost. Park staff helped us a lot, which will be eternally grateful. They got us a place to stay overnight at Filbert BED &BREADKFAST an exceptional place. Mrs. KATHY LORAB served us very special and gave us their help in our situation as if we knew as always, I could never imagine that there were people like her and give the most for others. She gave us her cell phone, computer and transported us from one place to another. The facilities and the attention of Kathy will always be remembered by us. We loved the historic house and its decoration; it was like a dream to be there. My husband and I recently had our wedding reception at the Filbert Bed and Breakfast. 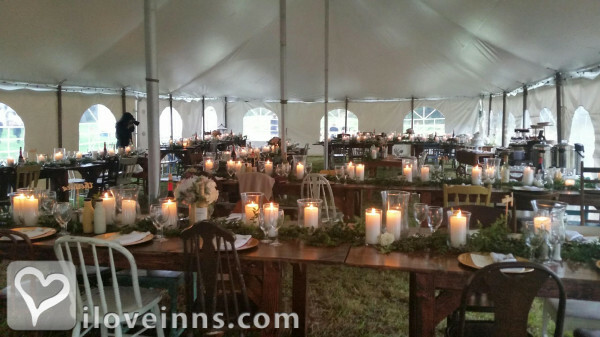 We had a gorgeous outside wedding that exceeded our expectations. The service was exceptional; everything was well organized and put together. 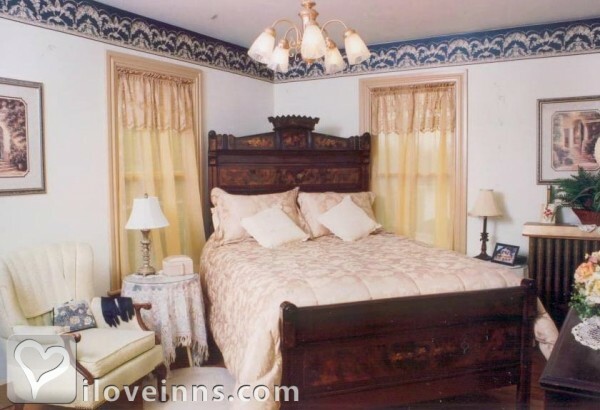 The Inn has an old victorian atmosphere that our guests enjoyed. The courtyard was one of my favorite spots at the Inn. If you are looking for something out of the ordinary instead of a chain hotel, I definitely recommend staying here. In seeking a home base for a mother-daughter weekend last week, we couldn't have asked for a better host in Kathy and husband Terry or a more lovely B&B. Native to the area, Kathy tuned into our interests and then provided exactly the right amount of advice, fact and color commentary to make everything we chose go effortlessly. The historic inn is modernized for comfort and filled with authenticity to its origins. The B&B is in a small town but is convenient to quite a variety of activities, making for a full and wonderful long weekend for us. We also loved Kathy's multi-course breakfasts. We would come back in a heartbeat and plan to bring along friends as well. I had never been to this part of PA before and relied on the good reviews on this site and the good vibes I got from speaking with Kathy beforehand. Our room was beautfiul, extremely clean, inviting, and very comfortable. It all turned out even better than my high hopes. The location made for a great home base to various activities. We enjoyed an old-fashioned Drive-in Movie place less than 10 minutes away from the Filbert. (Bonus: breakfast was delayed to allow us to sleep in.) For our whitewater rafting trip in reasonably close Jim Thorpe, Kathy gave perfect advice on what to wear, where to buy a low-cost, delicious lunch and how to ensure it stayed dry, etc. Thanks to Kathy, we also decided to try out the nation's "largest 10-day free music festival" in Bethelem -- a bit of a drive but which was so good we went two nights in a row. To top it off, my guitar-playing daughter was thrilled to enjoy a well-run tour of Martin's Guitar Factory, where high-end guitars have been produced in nearby Nazareth since 1833. In sum, we had a great time and our home away from home at the Filbert was instrumental in making it easy and memorable. My husband I stayed at the Filbert B&B after a long day of skiing at Blue Mountain. The service was outstanding. Nice accommodations, delicious breakfast and goodies, and very convenient to Blue Mountain. Kathy gave us great tips for area dining too. This was our first time staying at a B&B and we will definitely do it again. My husband and two daughters stayed here for three nights so we could ski. We loved it. The room was comfortable and clean. Breakfast was great. Loved the local feel. Me and my girlfriend spent at filbert 3 gorgeous nights.The owner Kathy is just unbelievable woman. She was taking care about everything. The breakfast was always a choice waffles,fr.toast,eggs,omelets,plus juices,fruits,deserts,omg,its even better than at home. The room was perfectly clean. Also the room was nicely decorated with some antiques and ancient stuff!!! wow!wow!wow! Amazing!!! Kathy and Sherri are fantastic hosts! My husband and I were looking for a place to find peace and rest from a hectic life, and this place was perfect! Quaint, clean, delicious food, and we were able to truly relax. This is my husband and mines second visit and Kathy always makes us feel so welcome. We went for our 1yr anniversary this weekend and were so thankful for all that was done for us.. From the flowers to the bottle of wine. I would not hesitate at all to go back..
My wife and I stayed here over the 4th of July weekend. We had a great, relaxing weekend. Kathy took care of us and had a ton of recommendations for us. We were only a half hour away from white water rafting in the Lehigh River, which was great, along with some really nice Hiking. Kathy pointed us to the drive in movie theater which was a great way to spend the night with a Doyle header that was cheaper than most single movies. When we weren't running around town, the inn was a gorgeous relaxing place to stay. A bottle of wine and a book is all you need to entertain yourself in their back yard. Awesome place, only stayed over night but everything, atmosphere, attendants, food were excellent . Excellent, but too short, visit. Kathy was incredibly accommodating. Easily the best B & B breakfast we've had. Comfortable bed, historic atmosphere. So delighted with our stay at the Flibert Inn. Kathy could not be any more acccomodating. Just exceeded every expectation. Lots of charm, delicious breakfasts, very clean and well-equipped rooms......will definitely go back. Right off the bat, Kathy was amazing and made my husband and I feel right at home. The breakfasts were amazing and the accomodations were really nice! We definitely plan on coming back next year if possible. My husband and adult daughter stayed in the family suite for two nights in Jan. 2014. Spacious, comfortable, and clean accommodations with thoughtful touches. Great breakfasts with local farm-fresh ingredients. Kathi was a gracious, informative host, sharing fascinating history of the lovingly restored property. Really lovely inn for a retreat or as a home-like base for touring the area. I just had the wonderful B&B experience of my life (and I've stayed in quite a few over the years). 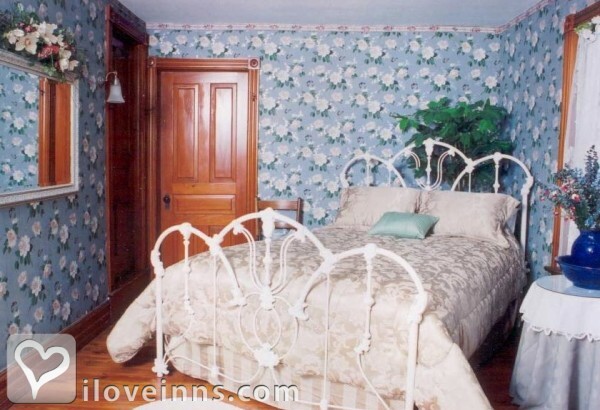 Filbert B&B is lovely, charming, warm, romantic, exquisitely decorated, welcoming, immaculate; it is a very special place. The food is scrumptious; the best western omelet I've ever had in my life, the potatoes so very tasty, the muffins hot out of the oven and delicious. Kathy is the nicest person in the world and we loved chatting with her. It exceeded my expectations and I can't wait to go back. I went for a ski weekend but want to return now in the other seasons as well. I'm recommending it to friends. For an amazingly wonderful experience--you've got to go! Clean, comfortable, spacious rooms. Nicely decorated thru-out. Outstanding full breakfast. 7 Minutes from Blue Mountain. Kathy is very accommodating and made us feel right at home. My boyfriend and I stayed here in October 2013. The rooms and house were very clean. Kathy was an amazing host. We were not familiar with the area so she gave us tips of places we may want to visit. Very kind and helpful. I would definitely stay here again. Nothing to do with Kathy or the B&B, but the location of the B&B sits outside of town, away from gas stations and grocery stores. Also, the gas stations that were "close, after 9/10p, were closed. Keep this in mind while traveling to the area. I have visited many B&Bs during the past few months and my stay at Thr Filbert Inn was one of the highlights of the summer. The room was very nice, food was excellent and hospitality was wonderful. I had everything that I needed and only had to ask if there was something I wanted to know about the area. Food was especially great and all fresh from Kathy's family farm! Will definitely be back and will bring friends. My husband grew up close to this B&B.Has fond memories of his Grandparents. Moved to Texas .We came back to visit family in June.The host was awsome and our stay was very relaxing.The house is well kept to the original decor. The general store attached to the house brought back a lot of good memories for my husband.I love B&B's.This one was one of my favorite. We spent a lovely time with Kathy. The room was lovely, very clean and atmospheric, and the breakfasts were delicious and carefully prepared around a lactose-intolerant guest. The outside areas were wonderful, lots of places to sit, both under cover and out in the open. We were new to the area, there for a bike race for our son. Kathy immediately saw our needs and was forthright with extra care. We were wet and full of mind but she didn't blink an eye - she provided extra towels, and a place to hang our things to dry. She saw to our every need without us ever having to ask. The room was lovely and clean. We were four with our young daughter and Kathy set up an extra bed to accommodate us all. In the morning breakfast was delicious, served to us at any time we wished. We certainly recommend the Filbert Inn and hope to visit soon again. We attended a beautiful wedding and stayed at the Filbert Bread and Breakfast. Thank you Kathy for making our weekend perfect. We came as strangers but left as friends. Everything was wonderful from the comfortable room to the delicious breakfast. No question we would be staying there again if we visit. My husband and I recently had a "Country Tea" at the Filbert. Yes --- Country Tea is not only for ladies, my husband completely enjoyed it as well. Also, a Country Tea is a bit different than the typcial "tea" consisting of tea and scones - we left feeling quite full and satisfied. The tea sandwiches & desserts were delicious. The Tomato Bisque was the best I've ever had. The soup was accompanied with a side salad nicely drizzled with just the right amount of salad dressing. The tea was delicious - I actually think I had six cups. Customer service, pride in ownership is impeccable. 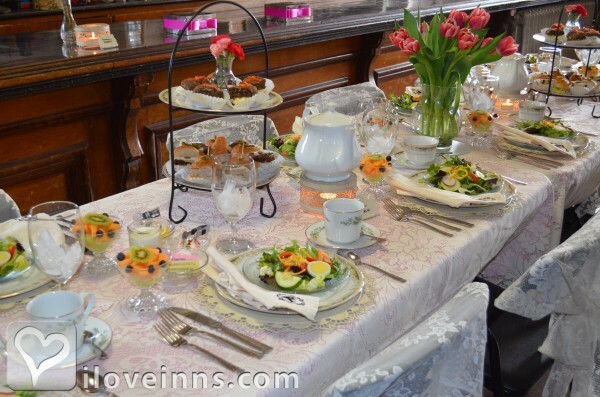 Whether it is for tea or a special event that you are thinking of having - do yourself a favor and check out this beaufiul gem of Americana situated at the base of the Blue Mountains. Perfection. This was our second stay at the Filbert B&B and it just keeps getting better. Kathy and Sherri gave us a very warm welcome, clean and charming room, excellent breakfast, and precious advice for both skiing and roaming the neighborhood. Heartily recommended. We stayed at the Filbert B&B on our way thru PA and were delighted at the charm and beauty of this very historic B&B. The stay was made perfect by inn keeper Kathy�s grace and wit and her fascinating stories about the site. Oh, and the breakfast she prepared was very good also. We most definitely will not hesitate to stay at the Filbert B&B again if we are ever back in that area. Filbert's B & B is a great place to relax and enjoy spending time with your spouse (especially if he/she is hiking the AT). It's only 1.5 from Little Gap. The B & B is in a wonderful location for tourist attractions. Kathy, the owner, gave us terrific ideas for places to visits. She recommended a wonderful Italian restaurant nearby and the food was superb. Her breakfasts are outstanding as well, with a personal touch. She is a fabulous hostess. I have lived near this area for my entire life and just recently found this B&B. 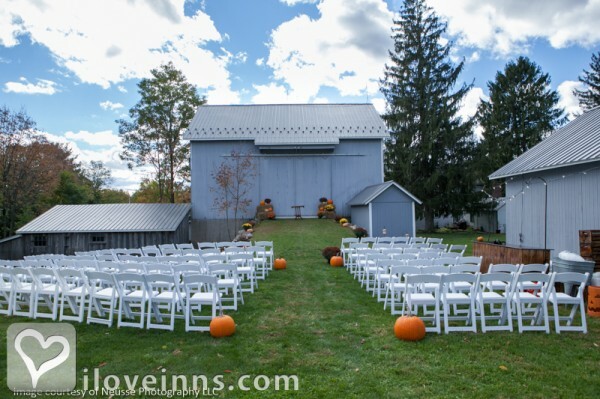 Not only is it a B&B, but they have this amazing barn that we utilized for a bridal shower and a general store to use for events as well. The property is very well maintained and it was very pleasurable to be in those surroundings. The barn has a very simple rustic feel and it doesn't need any decorating. You need to be able to appreciate the beauty of the barn and the hard work the inn keepers have done. Kathy & Sherry were the best to work with; hardworking but very fun ladies! I cannot wait to attend another event there or even have my own party there very soon! This place is a true GEM!! My brother and I were hiking a section of the Appalachian Trail. Really appreciated that Kathy had lemonade for us when she picked us up at Lehigh Gap. I couldn't have asked for better inn keepers. Kathy and Sherri went out of their way to make sure all we had to do was relax. Also very helpful with the willingness to shuttle. I'll definitely be back. My wife and I enjoyed our stay at Filbert Bed & Breakfast. The setting was terrific. Kathy was a super host, she made our trip very complete with her insight into the area. I will recommend Filbert Bed & Breakfast to my friends and family. My wife and I have stayed at the Filbert twice, in 2014 and 2015 while we were hiking the Appalachian Trail. We thoroughly enjoyed our stay and highly recommend the Filbert. It's a great place to stay for anyone, but especially nice for hikers. Kathy is very accommodating and attentive to her guests' needs. Her breakfasts are a treat and the rooms are comfortable and clean with lots of thoughtful amenities. Plus she's ready and willing to shuttle hikers to the local trailheads. Try it, you'll enjoy it. My boyfriend treated me to a birthday weekend here a few weeks ago. We were blown away! We were greeted at the door by Kathy and Sue. They are so welcoming and friendly. We got the tour and went to our room. They have different rooms here. Much like a quaint adorable house. You really feel at home. For my birthday, my boyfriend requested flowers and a wine and cheese tray. It was gorgeous! The tray was more like a basket and had lots of goodies, including a bottle of wine and two glasses. The flowers were gorgeous too and sat on the electric fireplace in the room. The whole place had Victorian decor and was way too cute for words! The main dining pallor and common space were decorated for Christmas and again it was gorgeous. The owner, Kathy served us a fantastic, elegant breakfast complete with eggs from her farm homestead, bacon from her brothers farm and muffins she made that morning. I felt like a princess here. We wished we booked more nights there but we will when we visit again. I can't say enough about Filbert Bed & Breakfast. If you want quaint, quiet, romantic and great service this is the place for you! Me and my fiance recently stayed and we loved it. Kathy is super kind and very accommodating. The place felt very homely and was filled with beautiful antiques. Breakfast was farm fresh and amazing! I would definitely recommend anyone to stay here. Kathy also showed us around the property where they have weddings and other celebrations it is absolutely stunning. Beautiful shower in the barn . Thank you . Everything was so pretty! 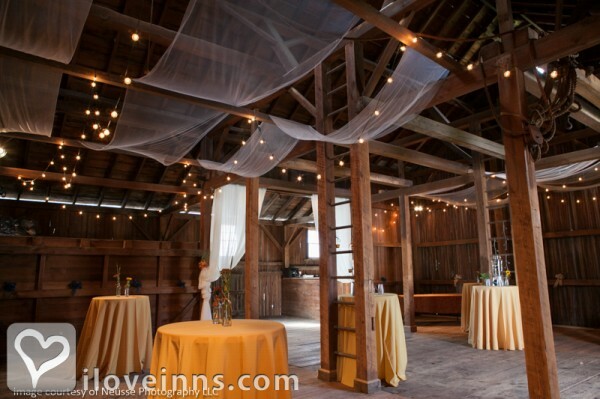 The ambiance if the barn was very sweet! Decor and place settings were adorable. Great day ! Great , friendly service . We were lucky to get rooms at this lovely B&B just down the road from where our cousin's wedding was taking place. I just recently had my daughter's baby shower in the Vintage Barn at the B&B. It was perfect and I could not have been happier. The food and service were excellent. Everything I asked for and more was done. The grounds/landscaping/flowers are simply beautiful and immaculate. The possibilities for special occasions are endless. I have not personally stayed at the B&B (I live 7 miles away), but my friends stayed there (4 couples) in August of 2015 for my son's wedding which was held a short distance away. They all raved about the B&B itself and of course the breakfast! Thank you Kathy and Sherri! Most enjoyable stay on July 29, 2016. Charming inn, well maintained, beautiful grounds, delicious farm-fresh breakfast, and a wonderful friendly host -Kathy. I would recommend this inn to anyone. We stayed there a few weeks ago for our wedding anniversary. The innkeeper was a sweetheart, and has the best tips about the area and things to do. Breakfast was amazing, everything is super fresh, straight from the farm, it doesn't get better than that. She even has little snacks in the guest kitchen for you when you get those late night cravings. The room was spacious and perfect. We'd recommend it to a friend and we would stay there again, the location is close to so many things, you definitely have to drive, but it's still very close. Make sure you eat at the Apollo Grill in Bethlehem (just 20 minute drive), it's one of the best places we've had dinner at in quite some time! Highly recommended. My hiking buddy and I stayed at the Filbert B&B for two nights while hiking on the Appalachian Trail in September 2016. Kathy, the innkeeper, made us feel so welcomed and was very gracious on accommodating our hiking needs. Our gourmet breakfast was served at 6 am so we could get on the trail early. I'd love to go back again. We went biking on the Lehigh Valley Gorge Trail and stayed at Filbert Bed and Breakfast. Kathy was very accommodating and the breakfasts were excellent. The house was beautifully decorated. I would highly recommend staying at Kathy's bed and breakfast. Great Place but even greater person who owns it! Kathy is a doll! You feel like you are right at home! I held a bridal shower for my daughter at the Filbert. We had a wonderful time. The setting at the Inn was intimate and elegant. The food was delicious and the hostesses are very accomodating and friendly. A special memory for our lives!